On January 28, the World Health Organization (WHO) said that Zika virus, a mosquito-borne infection, was “spreading explosively,” and that within 12 months as many as four million people in the Americas could be exposed to the virus. Zika, which is thought to be behind a dramatic increase in babies born in Brazil with abnormally small heads (a condition called microcephaly), emerged in Uganda nearly 70 years ago. Otherwise, Zika results in typically mild symptoms including fever, rash, joint pain and conjunctivitis. In 2007, a major outbreak was reported from Yap Islands in the Pacific nation of Micronesia. By 2014, Zika had spread across the Pacific to Easter Island, and to northeast Brazil by May 2015. Since then, its spread across the Americas has been relentless, with infections reported in at least 20 countries. WHO officials have said it is likely that the virus will spread to almost every nation in the Americas. So why does the virus have the potential to spread throughout the region? What’s behind the ‘relentless’ spread prediction? The Zika virus is transmitted through the bite of Aedes mosquitoes. When mosquitoes feed on a person with the virus, they can transmit it to the next person they bite. Travel across the Americas will bring infected individuals in contact with biting insects wherever they have established populations. So, to understand the risk from Zika or from any other virus spread by these mosquito species, we need to understand the actual and potential geographical distributions of Aedes mosquitoes and human travel patterns to and from infected regions. In mid-January, researchers from Canada and the U.K. published a risk analysis for Zika based on models of the distribution of Aedes aegypti and Aedes albopictus. They used environmental data to predict where these mosquitoes can establish themselves, and also incorporated travel data from Brazil to cities in the rest of the Americas. 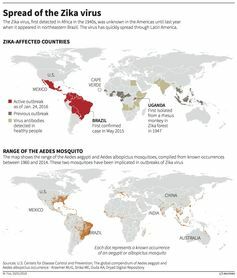 Their analysis predicts that only Chile and Canada aren’t at risk of local Zika epidemics, because their models suggest that neither Aedes vector species will be found in those countries. While their prediction takes into account people bringing in the virus by traveling from regions with recent Zika outbreaks, it does not distinguish between the abilities of the two mosquito species to transmit the virus. Epidemiologists are used to looking at disease vectors to try to puzzle out how diseases will spread and to what extent. Lauren Gardner at the University of New South Wales and my group at the University of Texas at Austin have created different models to predict mosquito distributions and analyze travel patterns in relation to dengue. Dengue is the most common mosquito-borne viral disease in the world (and is also spread by the Aedes mosquito), and has been spreading rapidly. 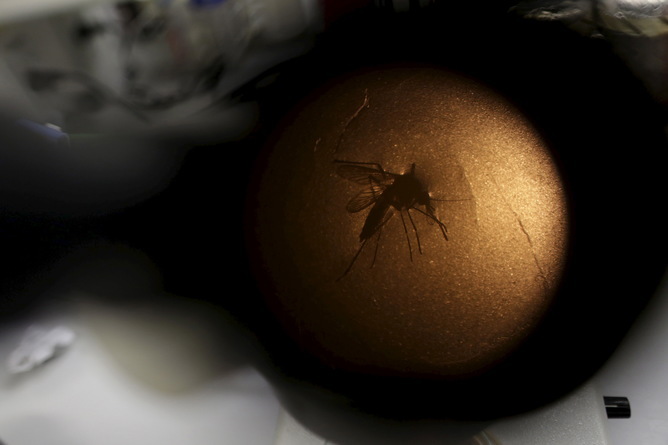 In fact, there have been major dengue outbreaks in Florida and Texas in the last decade. It’s not only a matter of where the mosquitoes can prosper. Critically, our analysis shows the risk of Zika spread will depend on how effective the two mosquito species are in transmitting Zika infection. Ae. aegypti is known to be very effective as a vector for both dengue and Zika. However, its distribution is severely limited to hot wet regions (like much of the tropics) and it cannot spread easily to other areas. In the United States, for instance, it has established populations in a few states, such as Florida and Texas. 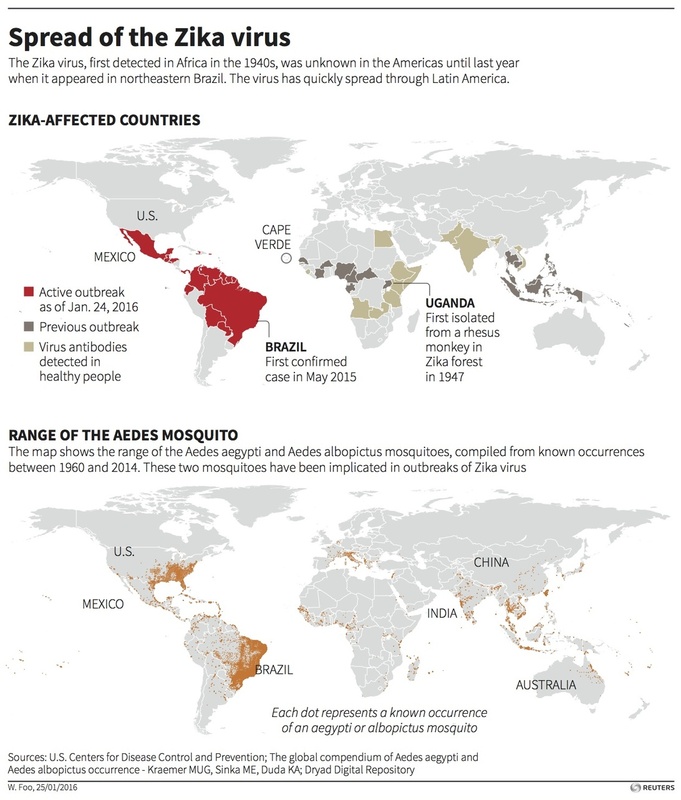 These are the areas that are most at risk for Zika. Ae. albopictus, on the other hand, is much less efficient in transmitting dengue infection, and at present we don’t know how well it transmits Zika but it seems probable that it is not as good as Ae. aegypti. However, Ae. albopictus has a widespread distribution and has established populations in much of the northeast of the United States and in Europe during the last decade. Beyond the southern states, Ae. albopictus is much more common than Ae. aegypti in the United States. If Ae. albopictus is effective in transmitting Zika, no country int the Americas escapes the risk of local infection. Otherwise, every nation in the Americas, including small areas of southeastern Canada, is at risk. So too is almost all of Europe except Scandinavia. This means that travelers can bring the Zika virus to these regions and it can then be spread by these mosquitoes. That Zika produces only mild symptoms in adults adds to this worry because infected people might not know that they have it. The risk in many parts of the world will dramatically increase this year as thousands of athletes and even spectators travel to Brazil for the Summer Olympic Games in August. Can we control the spread of the virus? People in the Americas have no previous experience with the virus and, so, no natural immunity. That means many more people in the Americas will exhibit signs of infection than people in Africa and Asia who have lived with Zika for generations. And as yet, there is no specific treatment for Zika, no medicine except for relief from pain and fever, and no vaccine. Even commercial tests for the disease are yet to be developed. The only available immediate response to the threat of Zika is to prevent the spread of the virus. Mosquito control efforts are important for Zika prevention as they are for dengue and chikungunya, viruses also spread by Aedes mosquitoes. But mosquito control efforts have so far failed to prevent the spread of the dengue and chinkungunya, suggesting that they are not going to be enough to contain Zika. More important is the development of vaccines for Zika, and several efforts are under way toward that goal. 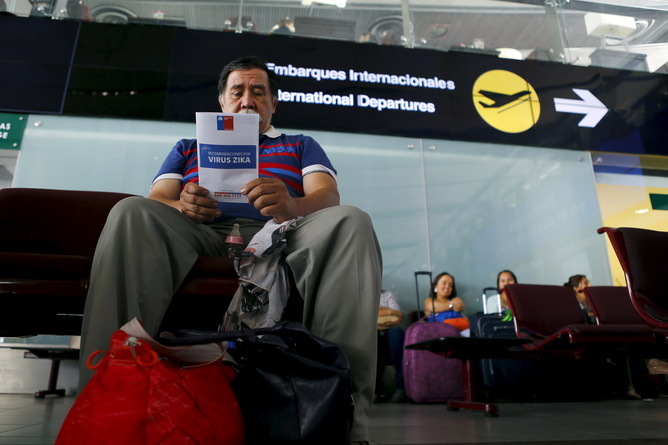 More immediately, given the potential for an epidemic of Zika in the very near future, epidemiologists should prioritize airports for surveillance of Zika infection in returning passengers. For instance, passengers could be questioned about whether they have had any symptoms of Zika or if they have been bitten by mosquitoes recently. Ideally testing for the virus would also take place in people with symptoms. Even if the relevant authorities were ready to implement such measures, what will be feasible will also depend on the development of a fast, cheap and reliable test for infection. Zika, like dengue, has been what is called a “neglected tropical disease” to which no attention is supposed to have been paid for decades because it only affected the poor in remote areas of the world. Until now, the pharmaceutical industry has had little economic incentive to invest in the control or cure of Zika. This is a pattern often seen with neglected tropical diseases. The development of new medical technologies would benefit not only those in the affluent regions under threat from Zika, but also the underserved people in the tropics who have dealt with this virus for the last 70 years. The question is whether the pharmaceutical industry will respond in a timely fashion. Featured image: Flickr CC, Stav.